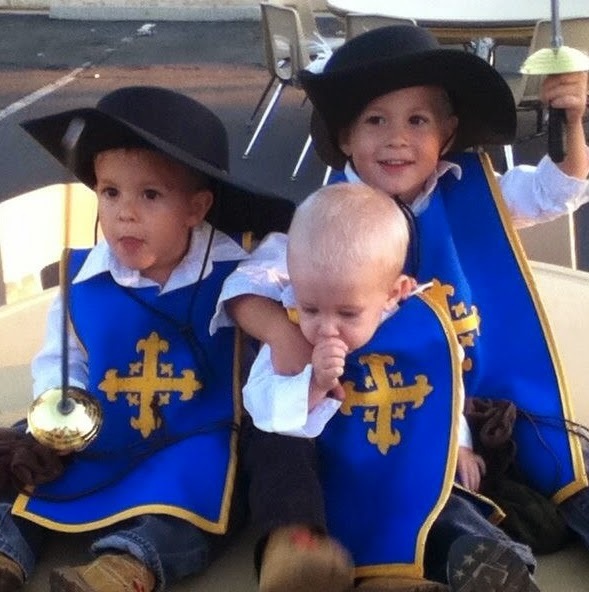 My vote for favorite costume this Halloween :) My three little nephews are definitely the Three Musketeers! Their mommy did a fantastic job making their tunics! With jeans and white shirt underneath, these costumes are both fun, practical and inexpensive! Way to go! Happy Halloween everyone! Have fun and be safe!